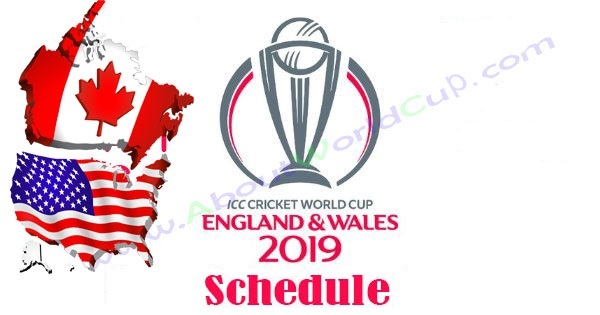 2019 Cricket World Cup will take place in England & Wales starting from 30th May 2019 to 14th July 2019. The final of the 2019 Cricket world cup will be played at Lords in London while Oval cricket ground will host the opening match. It will be the 12th Edition of 50 over cricket world cup. ICC has decided to go ahead with a round robin format just like 1992. A single group of 10 teams will participate in cricket world cup 2019, top 8 teams which are Australia, England, South Africa, Pakistan, India, New Zealand, Sri Lanka, Bangladesh and 2 others which are Afghanistan and West Indies recently qualified for world cup by playing ICC world cup qualifier in 2018. Every team will play against other 9 teams in the round robin format, which means every team will play 9 matches and top 4 teams will qualify for the semifinals. There will be a total of 48 matches including 45 group matches, 2 semifinals and 1 final match. This tournament is going to be much excited because every team will have to play a lot of matches in the tournament. Check out the complete fixtures according to US Pacific, Central and Eastern time zone.